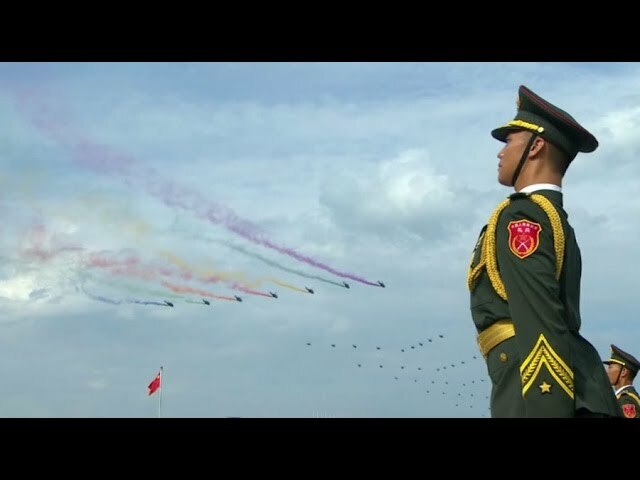 China has held a lavish parade in Beijing to mark the defeat of Japan in World War Two, showcasing its military might on an unprecedented scale. President Xi Jinping in his opening speech paid tribute to "the Chinese people who unwaveringly fought hard and defeated aggression" from Japan. He also said the People's Liberation Army would be reduced by 300,000 personnel, but gave no timeframe.